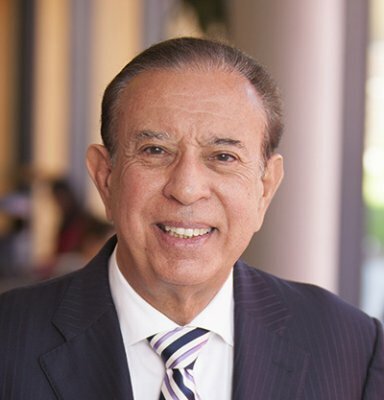 Today’s show – 50 Years of Leadership and Business Wisdom from Dr. Modesto Maidique who is the co-founder of Analog Devices and the President Emeritus of Florida International University in Miami which has an enrolment of over 50,000 students. Dr. Maidique is internationally recognized as a leader in higher education and management of high technology enterprises. Dr. Maidique is a Cuban immigrant who literally moved to the United States after high school, got into one of the top universities in the world – MIT – where he obtained his bachelors, masters and doctorate, went on to teach at MIT, Harvard and Stanford before co-founding Analog Devices. He later served as the President of Florida International University (FIU) for 23 years. He took a campus behind an abandoned airfield and built it up to the current campus with over 50,000 students and one of the largest public universities in the country. He started many schools at FIU including the colleges of Law, Engineering, Architecture, Public Health and the FIU College of Medicine. He knows a lot about leadership and heads up the Executive Director of the Center for Leadership at FIU. He has an upcoming article on the five levels of leadership appearing in the Sloan Management Review. He is also an expert on innovation and the management of technology. Listen to Dr. Mitch Maidique in conversation with Ram Iyer and benefit from his 50 years of experience in leadership at https://businessthinking.com/podcasts. He has served on several presidential commissions and advised many American presidents. The main campus of FIU is named after him – the Modesto Maidique campus. He is an entrepreneur, academic researcher, teacher and community activist. He is a contributing author to ten books. Maidique currently serves on the boards of National Semiconductor and the Carnival Corporation. What was it like coming as a Cuban immigrant to study in the United States, that too at MIT, in the 60s? What is the value of education in the eyes of a Cuban immigrant? Should the education system still continue people to train students to specialize in narrow specialties? What is the value of a broad education which includes the arts and the humanities even in technical fields? Do the people with the highest IQ invariably succeed in life? What is the value of an MIT education? What did Mitch learn that assisted his ascent to senior leadership positions, advising presidents and embracing a mission that is atypical? What are the two primary things leaders do? Is a leader different from the person that he or she is? Who is the leadership expert that Mitch admires the most in the United States? What is Mitch’s approach to new and complex problems? What are the five levels of leadership in Mitch’s model (will be published in the Sloan Management Review later this year)? What are the issues of having a university campus named after a living person? What was Mitch’s mission and how does his legacy motivate him even today?